WILMINGTON, Del. 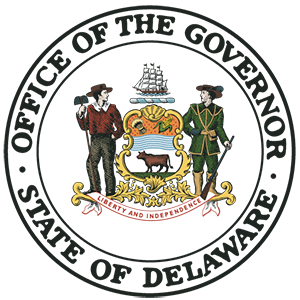 – Governor John Carney on Tuesday released a report on the state’s sexual harassment policy and reporting procedures. In December, as part of his focus on improving workplace conditions for state employees, Governor Carney directed Secretary Saundra Ross Johnson, Secretary of the Department of Human Resources (DHR), to analyze the state’s current policy and training and recommend ways to improve the state’s policies and procedures. DHR presented its report to Governor Carney summarizing current Executive Branch policies, practices, and procedures and made recommendations for improvements. The report identified the need to revise the state’s current anti-discrimination and sexual harassment policies; streamline the monitoring and reporting process; and mandate consistent sexual harassment awareness and prevention training across state government. Policy Revisions: Consolidate the Policy on Anti-Discrimination, Workplace Harassment and Retaliation and the Policy Sexual Harassment Prevention to create one concise policy. This inclusive policy will outline a clear complaint process, necessary training, reporting, sexual harassment complaint tracking separately, and investigation requirements. Centralized Reporting/Tracking: Develop or identify and secure a centralized tracking system to streamline reporting and tracking of complaints and investigations of harassment from filing to resolution. This one-stop-shop system will have the ability to create, manage, track, and report on allegations of harassment. Performance Plans: Employee performance plans to include accountability for each employee to support a respectful workplace, free of discrimination and sexual harassment and sexual assault. The plans will set clear and specific performance expectations for each employee. Training: Provide mandatory training to all new and existing employees on anti-discrimination, retaliation, bullying, sexual harassment, and sexual assault, with periodic updates. Agency Accountability: Execute Service Level Agreements with Executive Branch agencies to establish clear expectations, for training, monitoring and tracking performance to support a respectful workplace. Communications Toolkit: Implement a communication plan to educate employees on the State’s sexual harassment policies, practices, procedures, and training. The plan should include marketing materials, talking points, and fact sheets, surveys, and evaluations. Employee Relations Helpdesk: Enhance DHR’s helpdesk and continue to provide information and receive employee questions and complaints. The report includes completion dates for each recommendation. DHR will report publicly on the status of the recommendations and their implementation. The Department of Human Resources, responsible for the implementation of these recommendations, was created in July 2017 by House Bill 4, to help confront issues important to state employees, improve the delivery of human resources services, and promote diversity and inclusion across state government.